Huge Selection of Top-Notch Games. 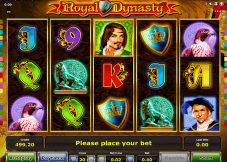 Licensed under MGA and UK Gambling Commission. Withdrawal fees for frequent cashouts. LV Bet is a relatively new, yet powerful eGaming site owned and operated by Fairload Ltd. Casinos, based in Malta and licenced jointly under the Maltese Government and the UK Gambling Commission. The elaborate and sophisticated LV Bet games catalogue is powered by a multi-starred software platform that includes coveted names like NetEnt, Microgaming-Quickfire, Play’n Go, Thunderkick, Evolution Gaming and many others. 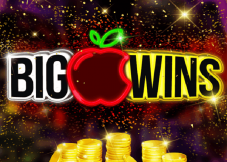 The featured games include some of the most popular slots of all time, a variety of table games, Sports Betting — that’s newly launched, along with several live casino rooms and attractive jackpots. Users can see through a crisp instant play website that allows them to log in through browsers, from their PCs and mobiles/tablets. There is no downloadable app at the moment. The minimalistic design of the website makes it seamless to operate through various screen sizes and types of devices. 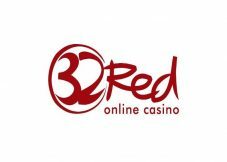 The casino website can be read in multiple languages, including German, Finnish, Russian and Swedish. 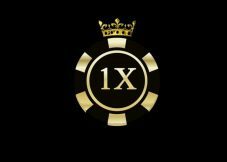 Plus, offers diverse payment methods for both depositing and withdrawal subsequently living up as a truly international gaming platform. Moreover, the multiple promotional features and “milestone bonuses” offered by the casino does engage players to come back for more. Currently, LV Bet Casino features more than half a dozen Promotional Offers, that’s neatly bunched at the “Promotions” page on the website. Starting with the Sign Up Bonus, the welcome package offers a handsome €1,000 with additional free spins on select slot games dispersed across 4 initial deposits. 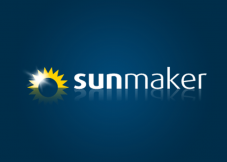 The 4th and last one pays out 200% match worth up to €100 and 100 free spins. Additionally, while playing the free spins, you can also land in further free spins as an in-game feature, boosting your winning chances. The minimum deposit limit to avail this offer is €10. The fun never slows down at LV Bet Casino! 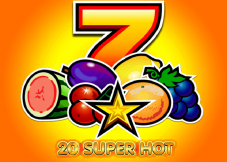 Players get a permanent reload bonus every week, making the most of their time at the casino. The “Game of the Week” bonus offers a 25% match that’s worth up to €100 on a select slot game. The slot titles change every week. The Wheel of Fortune is a special attraction at online casinos, that’s highly admired and used by punters worldwide. And LVBet Casino happens to be one of those casinos where you find them. The LV Bet Wheel activates every time the player crosses a “level” by playing the LV Bet slots and other games. There is a power bar indicating the status of the player at a particular level, which charges up with every bet you place. Therefore, once the bar is full, you activate a spin at the LV Bet Wheel of Fortune, that comes with attractive prizes like instant cash, free spins, comp points and much more. The multi-software platform at LV Bet Casino consists of a systematic structure comprising the world leading software providers like Microgaming, NetEnt, Play’n Go, Evolution Gaming. At the same time, players find a standard line of coming-of-age providers such as Greentube by Novomatic, Wazdan, BF Games, Gamomat and Merkur. 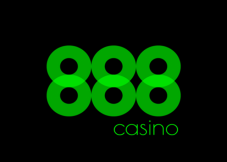 The casino happens to constantly update their games list as well as the list of software providers. The entire list of games developers is neatly placed at a drop-down menu at the right-hand side of the lobby. Users can simply filter their search with this useful tool if they are looking for anything specific. Coming to the games, the casino started off with a range of slot machines, now there’s additional sections of Table Games and Sports Betting with a bright potential of more variety to come. 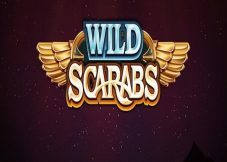 LV Bet Slots RangePlayers undoubtedly find the best of the best slot titles, like Microgaming’s record-breaking progressive star Mega Moolah, NetEnt’s hugely popular Starburst, Novomatic Book of Ra, Play’n Go’s Book of the Dead and much more that’s sufficient to make this casino a slot lover’s paradise. Table GamesThe range of table games is pretty well stocked with a variety of Roulette games, including French, American and European; a series of BlackJack and Baccarat card games; Poker games, including Deuces Wild, Turbo Poker and Texas Hold’em; along with other titles like Dreamcatcher, Pontoon, Jacks or Better. Live Dealer GamesThe most authentic element of an online casino, the Live Dealer casino games are played along with real croupiers over video streaming, making your game venture more real and interactive. The Live Dealer games at LV Bet casino is primarily hosted by Evolution Gaming and feature rooms of live roulette, blackjack, baccarat and poker available in both single and multi-hand variations. Players can also take part in the action-packed Tournament and Progressive Jackpot games, and stand a fair chance of landing in with a big load of cash. 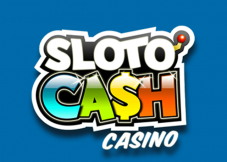 LV Bet Casino, being an international gaming platform, has carried out their presence pretty strongly, by providing a wide variety of payment methods, including the newly launched, Much Better payment app. Below is the complete list of payment methods you can avail. The minimum deposit amount is €10, and the maximum deposit limit ranges from €1,000 to €5,000 based on the payment method. There are no fees on deposit transactions from the casino’s side. The withdrawal payment options are lesser than for deposits, there is no option to withdrawal on Neteller. Though it is recommended that players choose the deposit method to be the same as the withdrawal one, if chosen deposit method is not valid on withdrawals, you can choose the withdrawal option that suits you best. Amazingly, LV Bet doesn’t levy any withdrawal fees on the first withdrawal of the week. If you wish to withdraw more than once a week, you’d have to meet a fee of €5 each transaction. 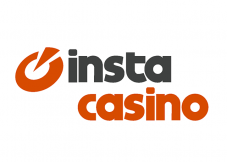 Players are allowed to cash out only once a week for a min €20 and a maximum €5,000. LV Bet Casino largely caters to players in the European Union and the UK. Among the restricted countries, including the US, Australia (certain regions), France, Spain, Hungary, Poland, Hong Kong, Iraq, and some others. The details regarding the restriction of jurisdictions are not so clearly stated on the public website, but if you are from a restricted country, you are likely to be barred from depositing in the first place. To ensure this, it’s recommended that you check with the casino customer support before you make a deposit. LVBet Casino promises a safe and energetic gaming experience to punters of stature, in a truly world-standard ambience. The best thing about this casino is that they are very transparent in their operations and don’t promise you what they don’t give. Practically, the casino doesn’t offer anything extravagant than what the contemporary sites would. But some little elements having well accessible customer support and a transparent communication what makes them a more comfortable place to stay. If you ever meet with any haywire situation, you can instantly take the help of friendly and proactive customer support. You can get help over live chat, phone or email, available in English, German and Polish languages. Speaking of customer support, the chat and phone lines are not available for 24/7. The English phone lines operate between 10 A.M and 8 P.M (CEST) daily, while the live chat and email in all languages operate from 8 A.M to 11 P.M (CEST). 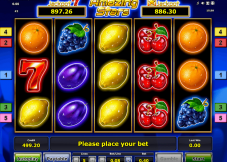 Overall, LVBet Casino is the rising star at the moment, with all the right elements to impress punters of all spheres.